Home News Have We Seen the End of the Blue Chip Tenant? Blue Chip Tenants now Extinct? If you doubt this then consider that Royal Bank of Scotland (RBS) paid €71 billion in October 2007 to purchase Dutch bank ABN Amro. Today that figure would buy Citibank, Morgan Stanley, Goldman Sachs, Merril Lynch, Deutsche Bank and Barclays with a few billion left over. So what exactly is a ‘Blue Chip’ tenant? 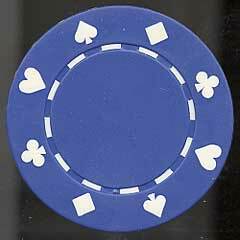 The term ‘blue chip’ itself comes from the poker table. In casinos poker players place bets with different coloured disks rather than using cash. These disks, referred to as ‘chips’, come in white, red and blue. The ‘blue chip’ is traditionally the highest value. In business ‘Blue Chip’ is a term generally used to describe a share or company which is of the highest quality and which would be considered as low risk as it is possible to get with regard to risk of payment default. In the case of shares it is a company that could be relied on to return strong and growing dividend payments while maintaining strong capital values. In the current economic environment however, a simple glance at the listings on the ISEQ, FTSE, or any other stock exchange would immediately call into question the ‘Blue Chip’ status of practically every company. This trend is repeated in virtually every country in the world. Many companies which had a long tradition of growth and profit have been terribly badly hit and share values are now at lows that haven’t been seen in over 20 years. Profitability across the board is being scythed and the cost bases, staff rosters and work practices that were accepted as standard during the boom times are now being quickly altered. We can see this most vividly in Ireland with recent high profile casualties such as Waterford Wedgewood and Dell. Such severe cost cutting and a huge increase in companies going bankrupt is making commercial property landlords very nervous indeed. Commercial tenancies are renowned for their stability while offering a minimum of contact with tenants, but when they go wrong they tend to go badly wrong. Contracts generally tie a tenant to a property for the duration of the lease, even if they leave the premises. Unfortunately, when a tenant or its parent company files for bankruptcy, landlords are left with no contract and no tenant. In a climate such as this, with a surplus of property and a dwindling pool of tenants, it is also virtually impossible to find new tenants to take up the vacant lease. If the landlord in question has substantial loans on the property then it can very soon lead to a bankrupt landlord as well. With this in mind it is interesting to see what are the current trends in other countries such as the US, the UK and Germany and whether we have seen the end of truly reliable ‘Blue Chip’ tenants. Gavin O’Reilly is Business Development Director at Youngfields OCP, a company active in the German commercial market. O’Reilly says that Germany, in general, is weathering the storm better than most. He believes that in 2009 the main focus of the investment markets in Germany will be within off-prime, key-located, multi-tenanted buildings and shopping centres. Average German vacancy rates last year actually fell from 10.3 to 9.4% with Stuttgart the lowest at just under 5% and Frankfurt the highest at 13.5%. It is telling that Frankfurt is the financial services hub of Germany, and it has the highest office vacancy rate of any major city. This is not expected to change significantly in the short term. The German market has shorter lease terms than are common in Ireland and the UK, thus allowing quicker reactions to a changing market. Rents are generally tied to the CPI which negates the negativity that can be associated with shorter leases. O’Reilly feels that going forward the German and the Swedish model of banking will most likely be replicated in other jurisdictions. There will be, he says, initial flux regarding current values and yields, creating both difficulties and opportunities. He feels that downward rent reviews are inevitable but adjustments will reverse as economies recover. The key, says O’Reilly, is the management of both the bankability and the debt liquidity within the assets. In the UK commercial property capital values have plummeted. The Investment Property Databank’s (IPD) All Property total return index fell for the fifth consecutive quarter, over the three months to September 2008, falling 4.8% in the quarter. The returns up to September ‘08 have now fallen off by 10.5%, compared to 3.5% for the same period last year. According to Ian Cullen the market slowdown started in June 2006 with a meltdown evident from June 2007. The office and industrial sectors are now experiencing falling rental values although retail is proving, he says, somewhat more resilient. Interestingly, the reduction in capital values has led to yield rises across all segments, even though rents are actually falling on regional offices and industrials as well as Central London offices. Diarmaid Condon is an independent overseas property consultant with significant agency experience. He can be contacted by email at info@diarmaidcondon.com.